At That’s Better we offer a range of self-development and professional practitioner courses that address the healing of mind, body and emotions. 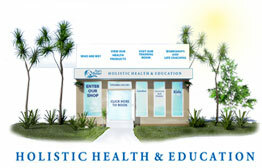 A provided by an experienced Holistic Health Trainer and Certified Adult Educator, Lynda Johnson. Classes are delivered by an experienced and qualified tutor in adult education. We also keep classes small (4-6 students), and this ensures you receive the attention you deserve. Prices are based per person, except Hypnobirthing classes which are priced per couple. All prices include GST and include detailed course manuals, certification and morning and afternoon tea. Please bring a healthy shared lunch. The hire of equipment for the course is included in the course price. (Excluding Towels & Sheets and lunch). Training your spa staff requires a skilled, experienced and professional trainer. Lynda Johnson has been training Spas since 2003. If you wish to train staff on-site please either e-mail or call for availability and cost. Choosing the right provider is key and you want to make sure that the quality of training that you will receive is given by the Best Holistic Health Trainer . We are continuously reviewing course feedback and refining our courses to deliver the best. We are extremely proud of the unique training we deliver. Do check out our website for student testimonials, also our Facebook page has current testimonials, along with Google Reviews.